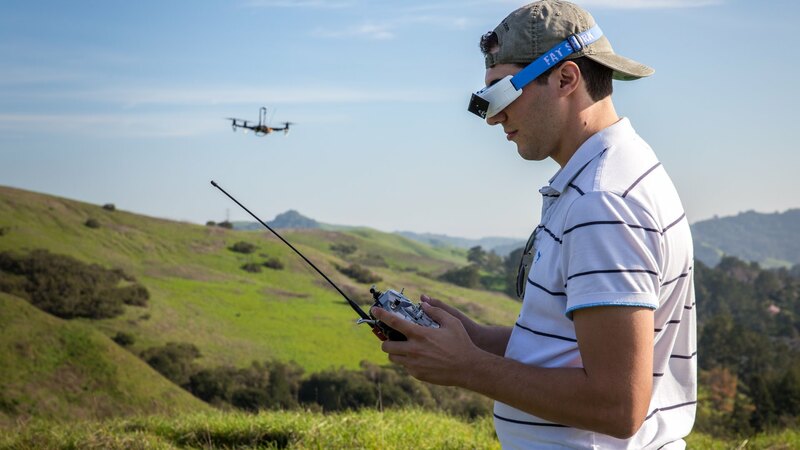 If you are wearing the FPV goggles for the first time, you will be surprised to find out you can see the different scenery as the drone “sees”. You may be confused at the same time and want to know how it works. This article mainly talks about the components of first-person view drone and what their effects are. Hope this can assist the persons who are not familiar with drones to know more. FPV drone mainly consists of power systems, frame systems, first person video system, and flight control systems. etc. These systems are essential parts of FPV. Of course, some hobbyists who would like to DIY their own drone may need to pay more attention to the budget of each component. So it would be better to choose some parts with higher cost performance. The frame of a drone that is of paramount importance refers to the carrying platform of the unmanned aerial vehicle and all of the components are carried up to the sky by means of the frame. The frame is as the skeleton of human beings. If you select a frame of terrible quality that is easily cracked or fractured, and can’t afford enough weight, your done would easily crash and be limited. Therefore, the quality of the UAV’s frame largely determines its service life. The quality of a frame can be measured from some aspects involving firmness, ease of use, and the reasonableness of component installation and more. In addition, the frame of the unmanned aerial vehicle is usually made of the strongest carbon fiber not only on account of its light weight, but because it is able to withstand frequent and violent collisions. The minimum size of the diagonal (rotor-to-rotor) of the fuselage is 325mm in the DCL racing machine. Nowadays, the common UAV mostly refers to multi-axis aircraft, especially quadcopter due to its simplest and most mature frame among the multi-rotors. Of course, there are also triaxial aircraft that owns better maneuverability, but its stability is not easy to debug. The control system of the quadcopter is divided into two parts: the flight control system and brushless DC motor speed control system. Flight control system detects flight condition by IMU inertial measurement unit (composed of a gyro sensor and acceleration sensor) and communicates with ground remote sensing through the wireless communication module. The quadcopter controls the attitude and position of the aircraft by adjusting the speed of four motors to change the speed of the rotor and achieve the change of lift. It will lead to the stability of its powertrain, so a long-term stability control method is needed. 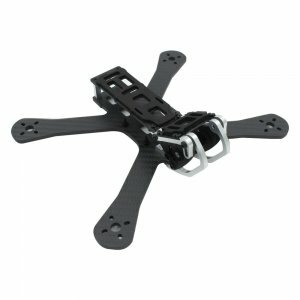 The quadcopter is also a kind of vertical elevator, so it is very suitable for flying under static and quasi-static conditions. 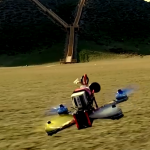 Batteries are the power supply of unmanned aerial vehicle and made the FPV fly to the sky. If there isn’t enough power or energy during flight, the UAV would crash down and you’ll need to spend a lot of money and time to repair or replace. So, high-quality batteries are essential for a drone. Instead of Nickel-Metal Hydride (NiMH) and Nickel-Cadmium (NiCd), FPV lipo batteries are highly recommended due to its large capacity, light weight, high energy density, and high discharge rate. 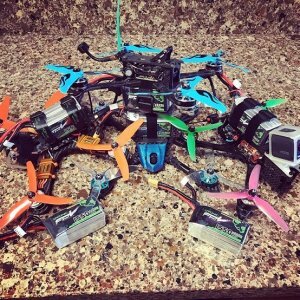 My favorite FPV lipo batteries are Gens ace and Ovonic lipo batteries. Gens ace is one of the most trustworthy and reputable battery brands on the market that widely apply to radio control vehicles and unmanned aerial vehicles. 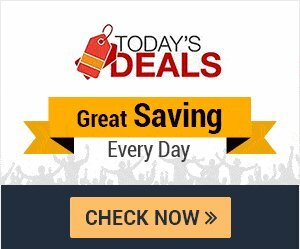 It features high performance and keeps a steady voltage while running. Besides, Ovonic lipo batteries is also an excellent and credible FPV battery. Surprisingly, it owns great punch, high discharge, cost-efficient, and superior build quality. The camera is the eyes of first-person view drone and lets the pilot and spectator appreciate the views from FPV. 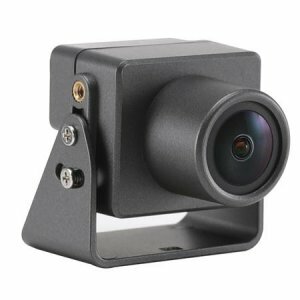 Generally, FPV camera is an analog one with unclear graphics that are sure to disappoint viewers. So it would be better to install another high-definition camera（HD camera). The FPV video system is optimized for extremely low latency, and its video quality and graphics are generally not good and unclear. For this reason, most of flying hobbyists use the high-definition camera（HD camera) to operate on amazing HD footage. The most commonly used is the GoPro Session, famous for its shape factor and high-quality imaging. Except for the components I have mentioned above, there are radio receiver, electronic speed controller, video transmitter, motors, and propellers, etc. 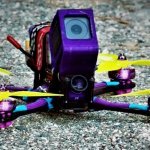 Hopefully, this essay has given you a better understanding of how an FPV drone works, how the different components react. FPV X-class Racing: How to build an X class drone (Part lists)?